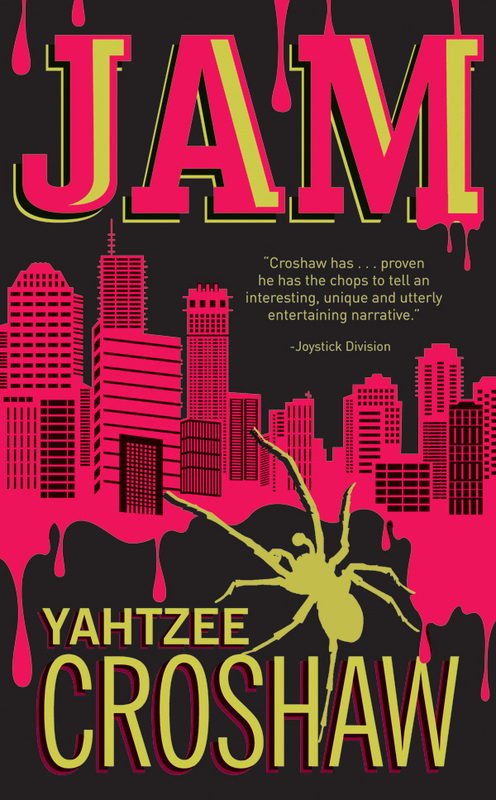 Well tickle my nuts, because Dark Horse Books has made the announcement that my second novel, JAM, will be released later this year. With slightly less of a video game focus than my work usually is, JAM is a dark comedy in which a small group of survivors is forced to deal with the one apocalypse no-one saw coming: an infinite, crimson doom that smells strongly of strawberries. In other book news, the e-version of Mogworld is now available for the Nook and Kobo E-readers. Kindle is apparently still being sorted out, but is in the works. The audio book will also be in the works as soon as I pull my finger out and start recording it, which isnt easy when I seem to get a new round of tonsillitis every bloody month.